Samsung has launched Samsung Galaxy A9 (SM-A920F) smartphone with quad rear cameras. It has a 6.3-inch Full HD+ Super AMOLED screen powered by a Snapdragon 660 processor with 6/8GB of RAM, 128GB of internal storage. 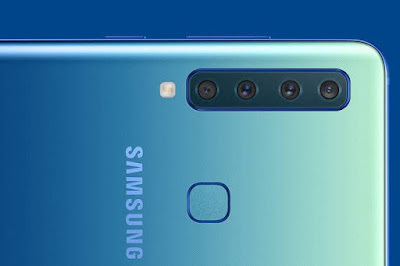 On Camera, it has a 24-megapixel sensor with f/1.7 aperture, 10-megapixel Telephoto lens with f/2.4 aperture for 2x optical zoom, 8-megapixel 120° Ultra Wide Lens for wide-angle photos and the fourth 5-megapixel camera to capture depth information for portrait shots. It also has a 24-megapixel front camera with f/2.0 aperture. It has a rear-mounted fingerprint scanner and Support for Samsung Pay. Connectivity options include Dual 4G VoLTE, Wi-Fi 802.11ac (2.4/5GHz), VHT80, Bluetooth v5, GPS + GLONASS, NFC Packed by a 3,800mAh battery with support for fast charging. 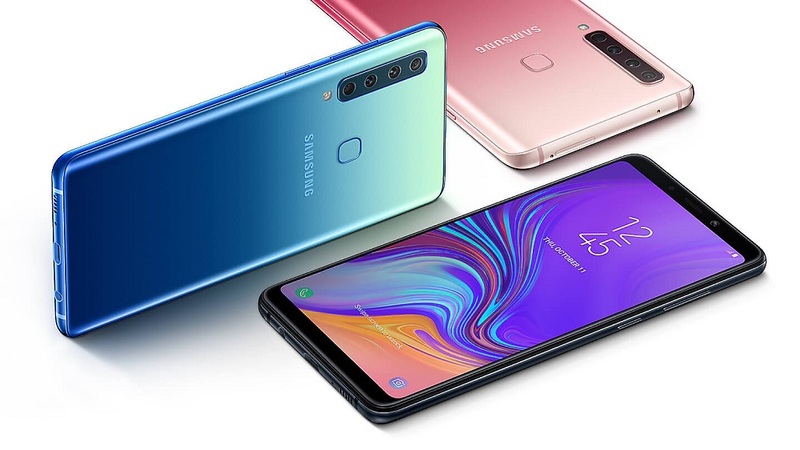 Samsung Galaxy A9 2018 comes in Caviar Black, Lemonade Blue and Bubblegum Pink colors priced at Rs. 36,990 for the 6GB RAM version and 8GB RAM version costs Rs. 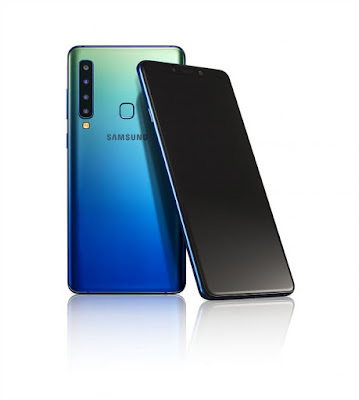 39,990 It will be available for pre-booking from online retailers Flipkart, Amazon.in, Samsung Online Shop and Airtel starting today, and will go on sale from November 28th. HDFC Debit and Credit card users get Rs. 3000 cashback on orders.